The lovely Petra Vanessie was kind enough to send me these two gorgeous dresses, I blogged the floral dress a while ago but couldn't help but wait to showcase the second dress in Autumn. 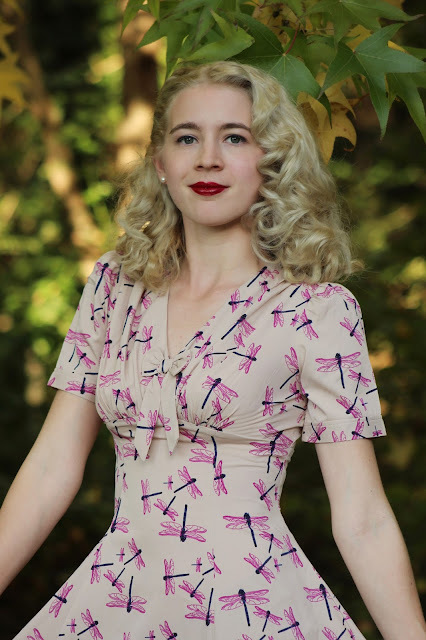 I bought this dress a few months ago and have been waiting to wear it for Autumn, I am a big fan of the 1940s style cuts by Hell Bunny. 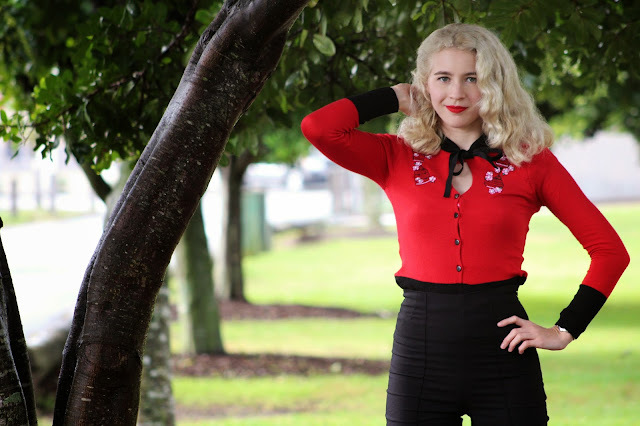 This continues from my last post, it was raining all of last weekend and I wore my Bernie Dexter dress underneath. The rain stopped for a while so Renee and I got some photos of each other. I love plaid in Autumn and find this to be such a gorgeous and flattering dress. I wore it with my green trench coat and it looked nice when it peaked out when the wind started to hit (that blog post to come soon).